So far Fran Terminiello has created 28 blog entries. 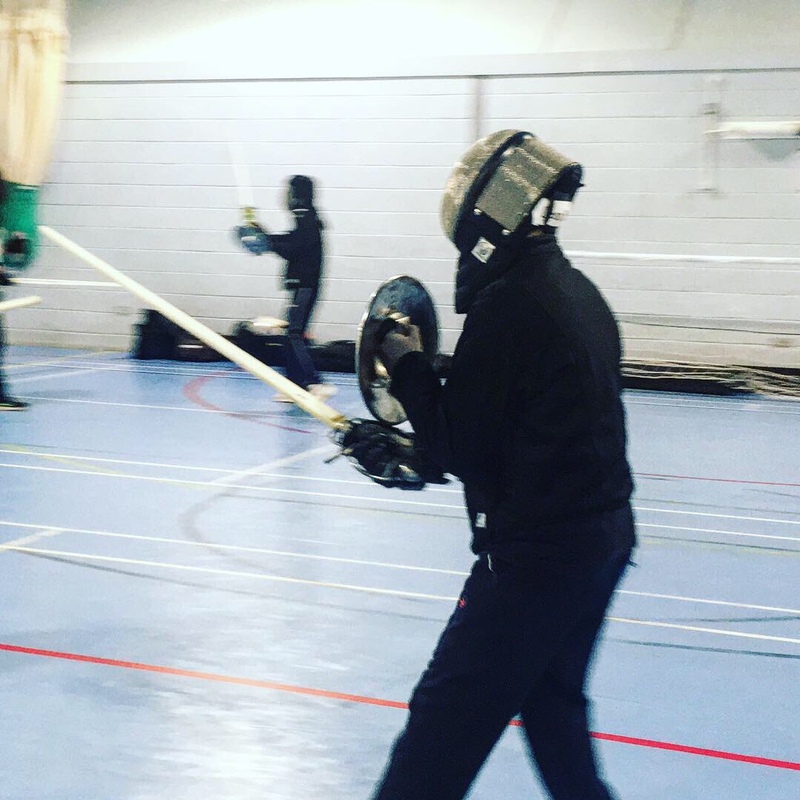 Two of our beginners passed safety test grading in Reading this week. Congratulations to Joanne and Gary! Congratulations to Kelley, Luis, Charlotte and Kristian for passing their SotS safety test at our Oxford branch! 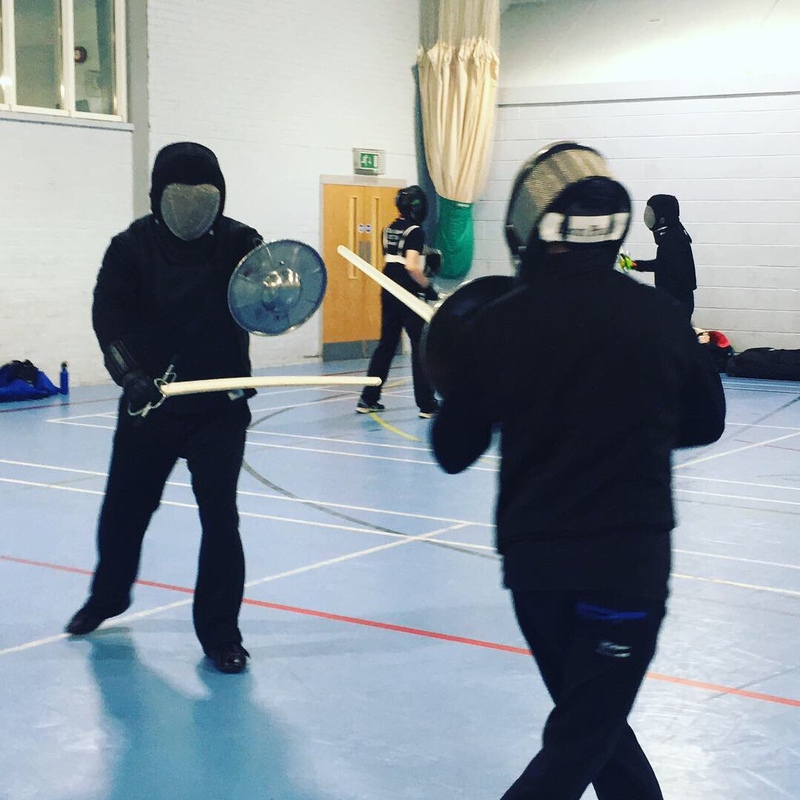 As full members are now able to attend sparring and train with the rest of the school. 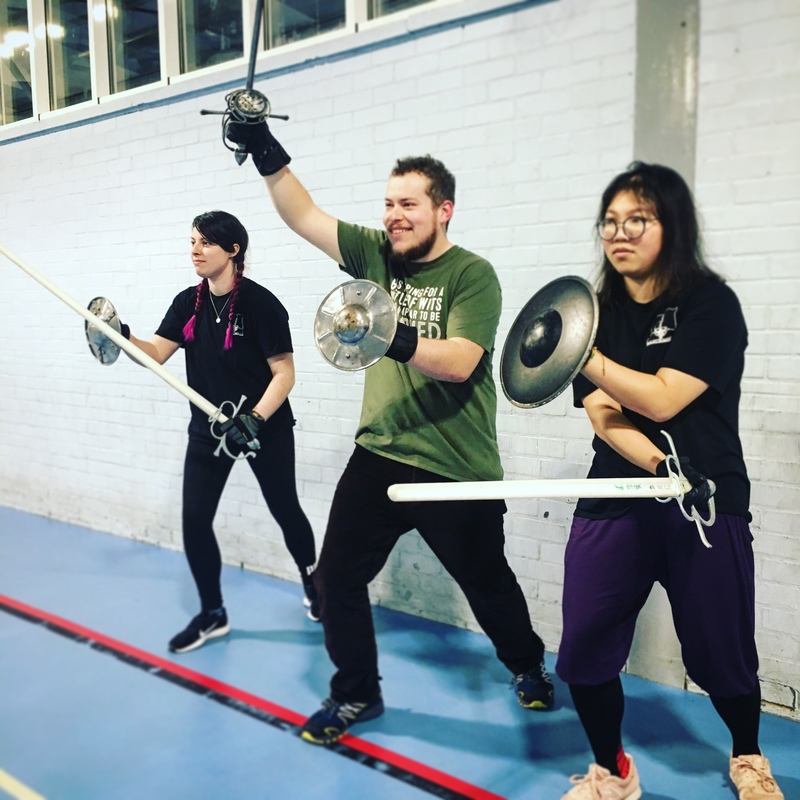 Congratulations to our “three musketeers”: Alex, Matt and Sabrina who have now all passed their safety tests after completing the beginners course and are ready to spar and train with the rest of the School! 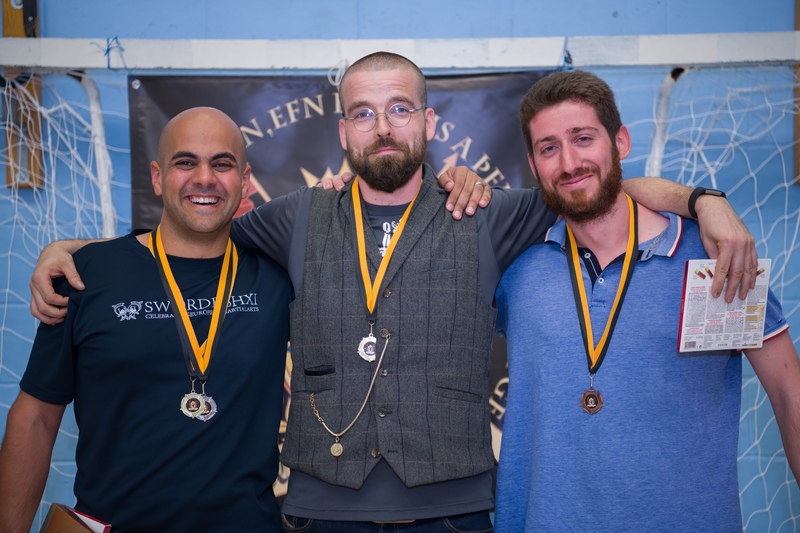 Particularly impressive is Matt’s win, which makes it his 3rd gold medal in a row in this series for rapier & dagger. 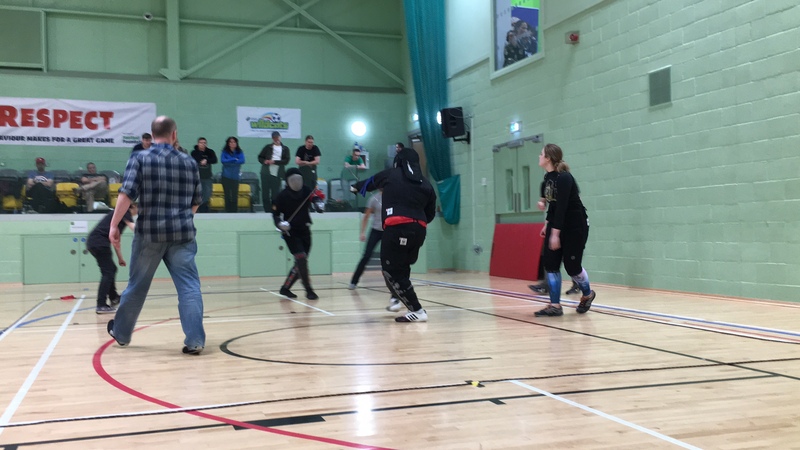 The School hosted a leg in Reading in 2017, and we hope to host future events for the league. Several members of the School are also main organisers. 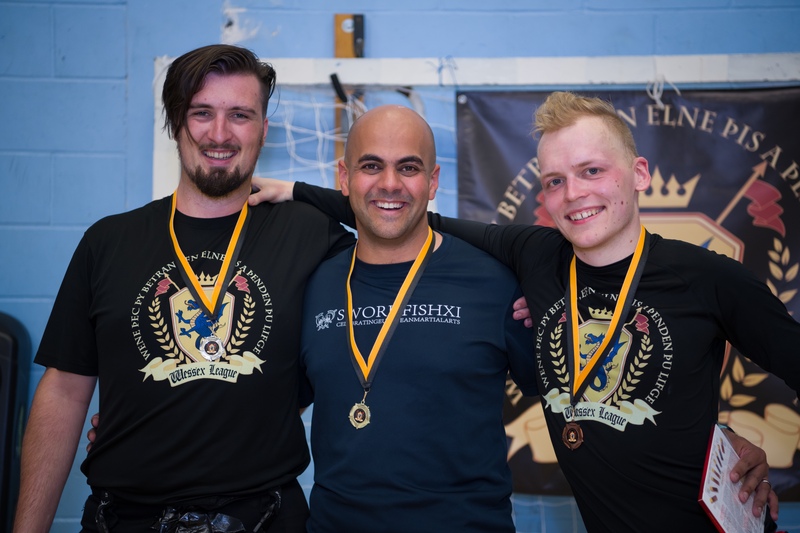 We look forward to seeing more SotS members participate, whether staffing or competing, in 2019. Sots is once again proud to host the ESO2019 in February next year. This time it will be at our newest chapter in Historic Oxford. 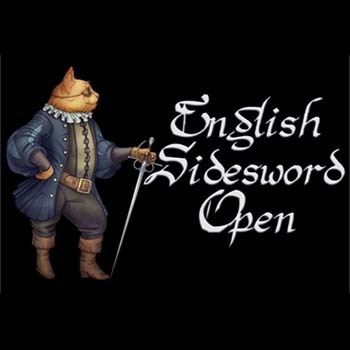 Our first sponsorship is from Kvetun Armory who will provide all the swords for the tournaments. 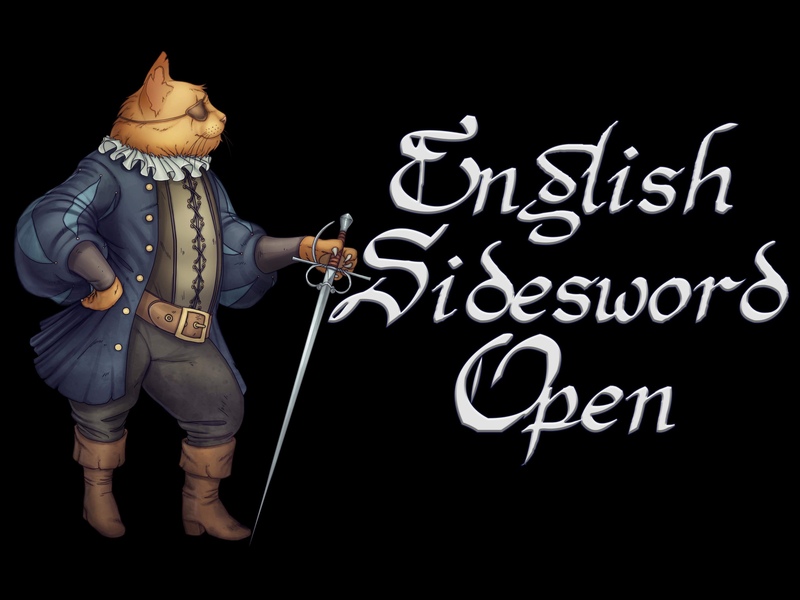 News on classes, activities and competitions will be coming soon. 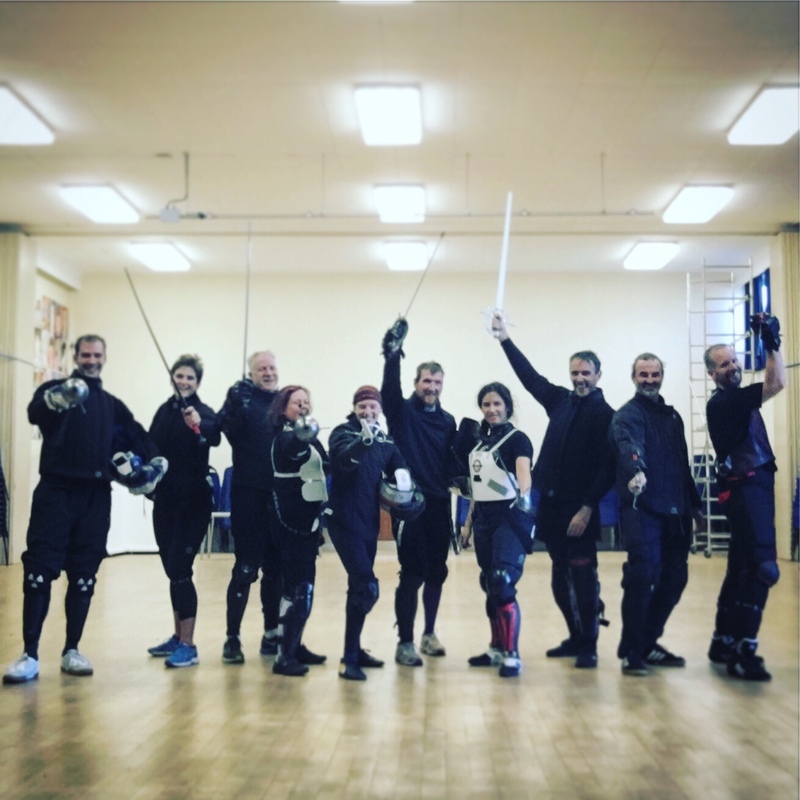 Well done also to Andy Bone, Apollon Makropoulos, Chris Bear, James Barker, John Waller for some brilliant performances in both Sword & Buckler and Rapier & Dagger. 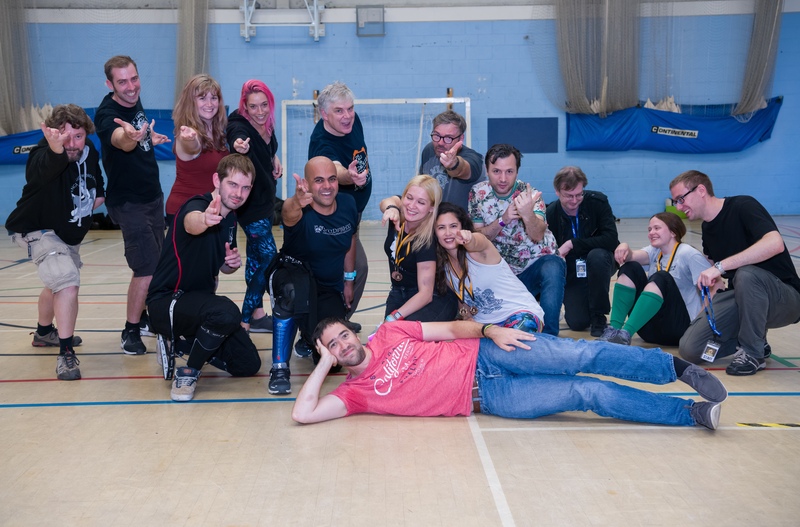 Preparations and training for Wessex League Cardiff are already under way. 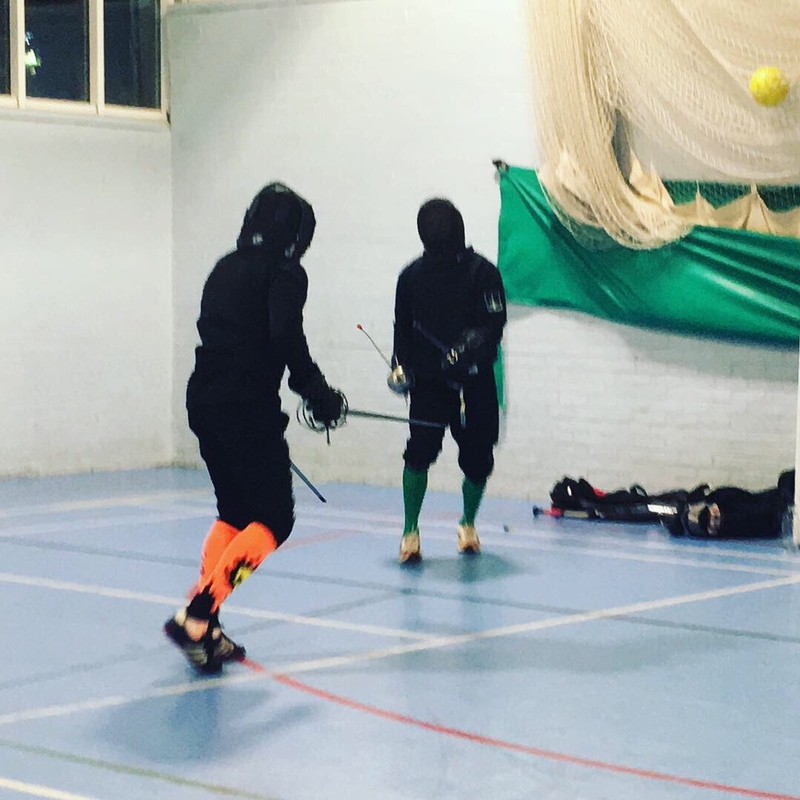 We had an energetic evening of coaching in rapier and dagger, and Manciolino’s closed play in the Bolognese group. 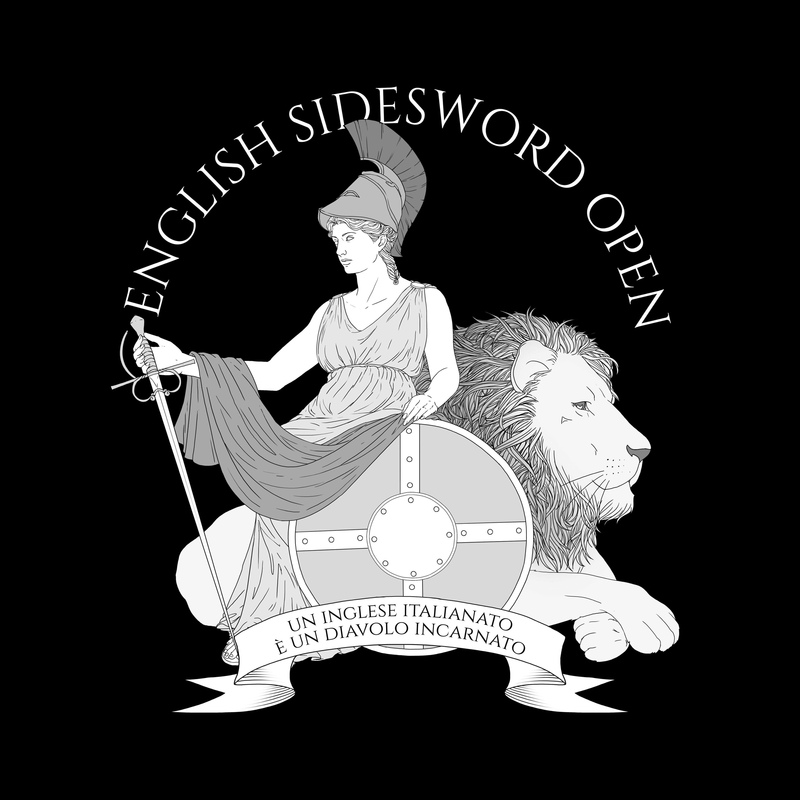 All good prep for those attending The Taunton Chapter of the Wessex League this weekend. Lots of luck to those taking part. 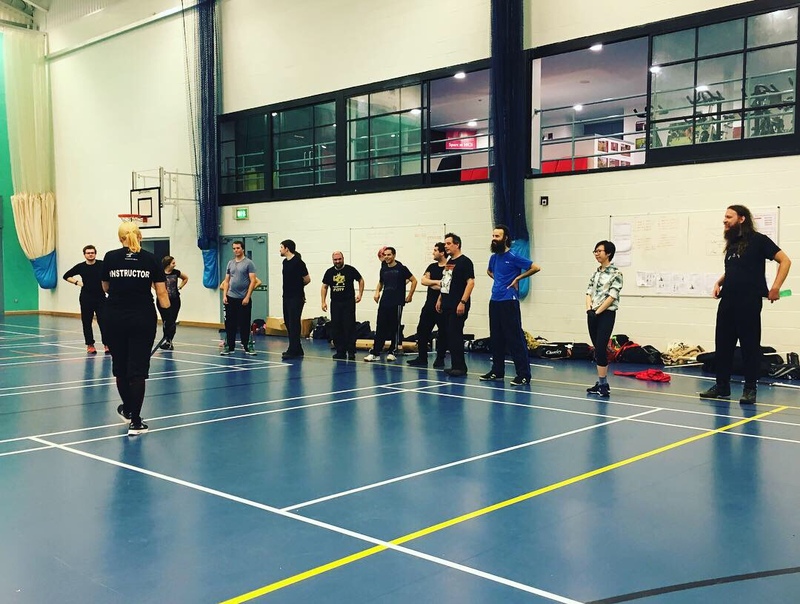 Lead instructor Emilia taught the first class of the beginners course at our new chapter in Oxford this evening. 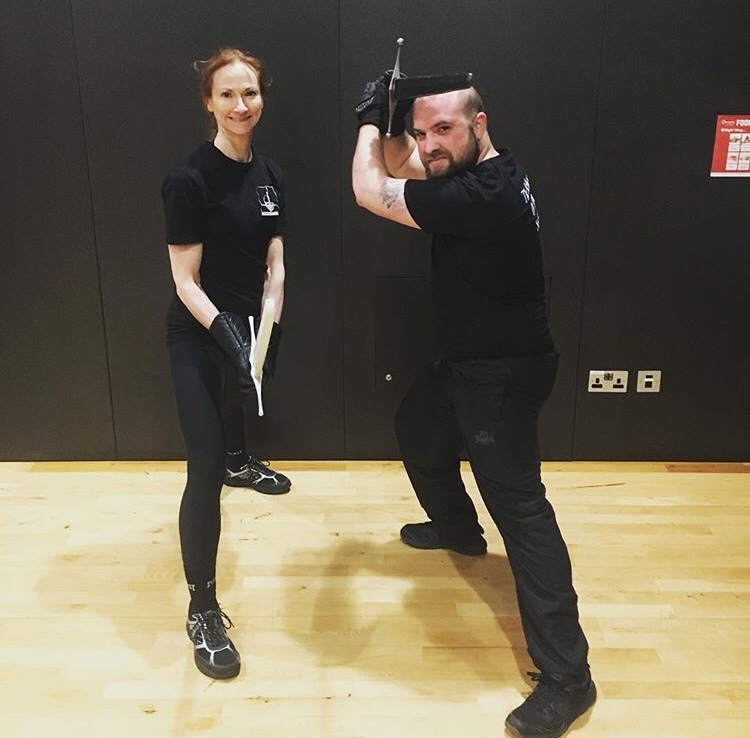 We were fully booked as eager new students picked up the longsword for the first time and learned about the principles of longsword according to Fiore dei Liberi. 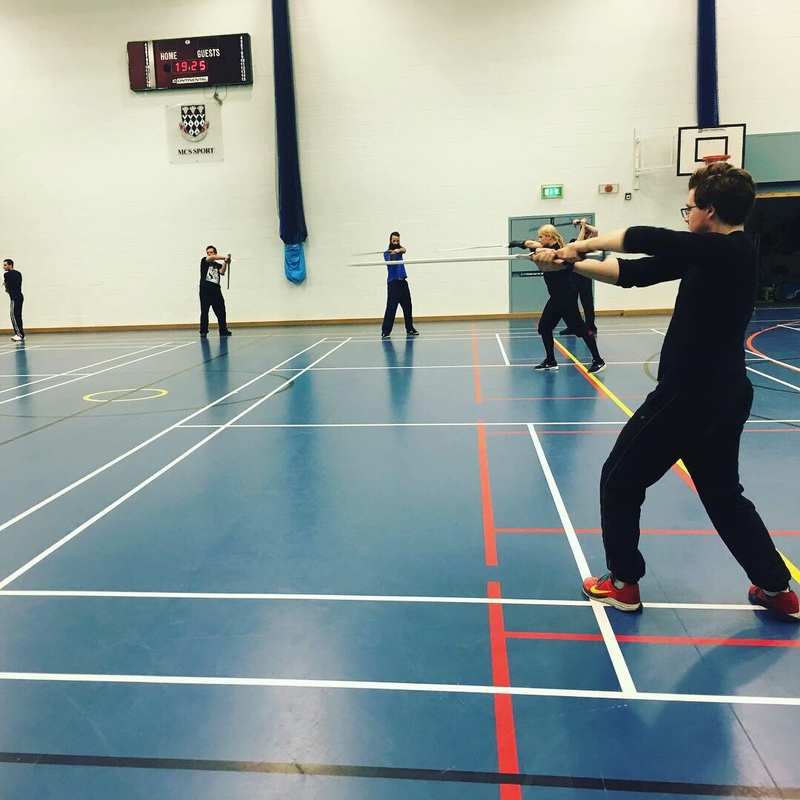 Classes take place each Thursday at Magdalen College School. 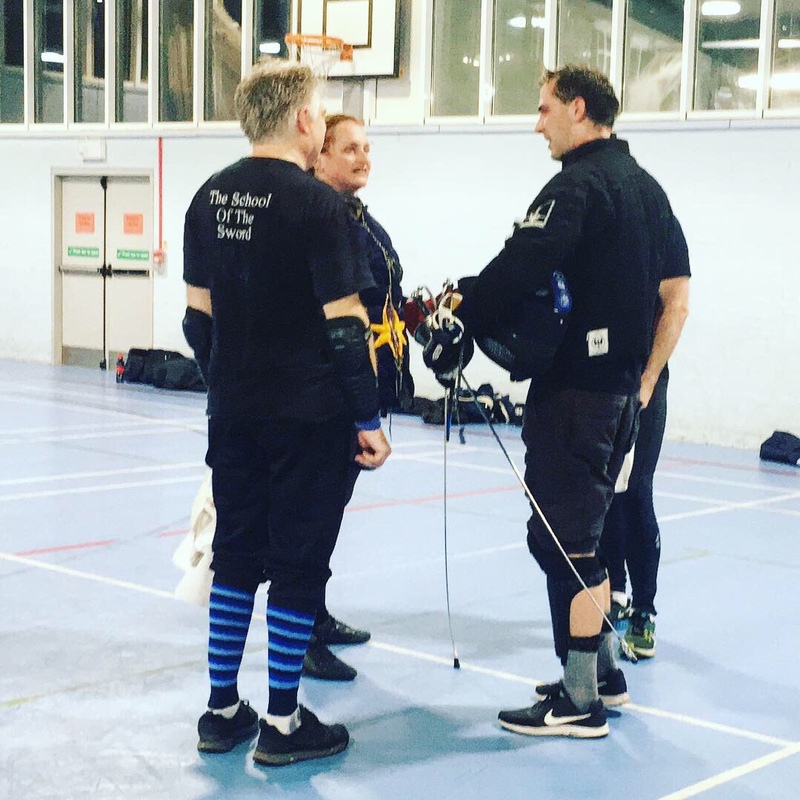 Sots brought home wins from the first leg of the Wessex League 2018 hosted by London Historical Fencing Club this weekend in south London. 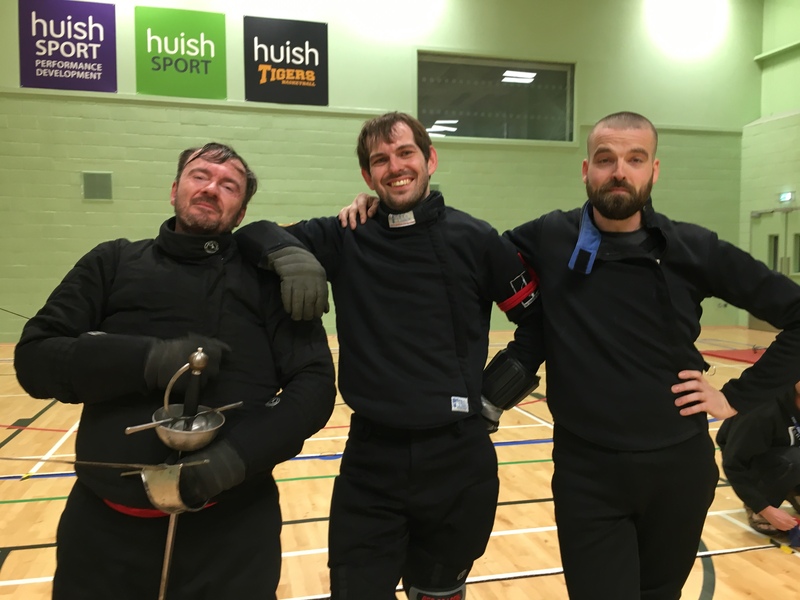 Reigning league champion for open r&d Stewart Hotston took gold in open rapier and dagger as well as silver in open sword and buckler. 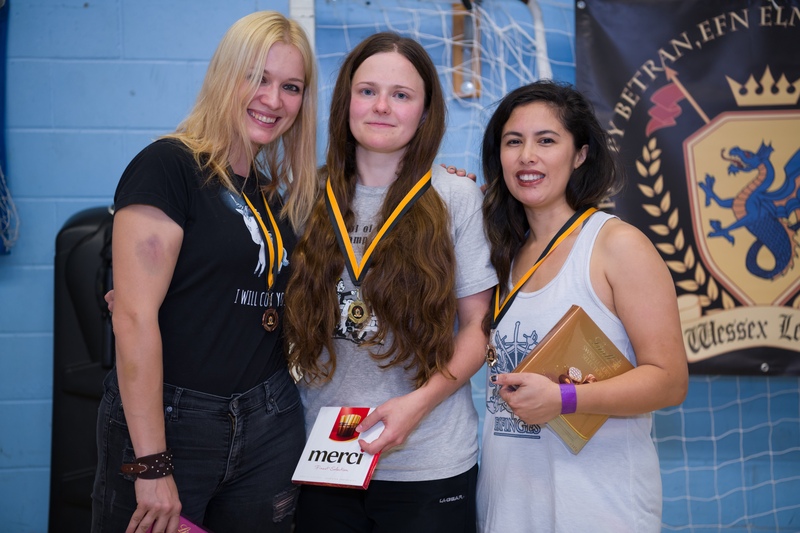 And women’s longsword league winner 2017 Fran Terminiello took gold again in women’s longsword. 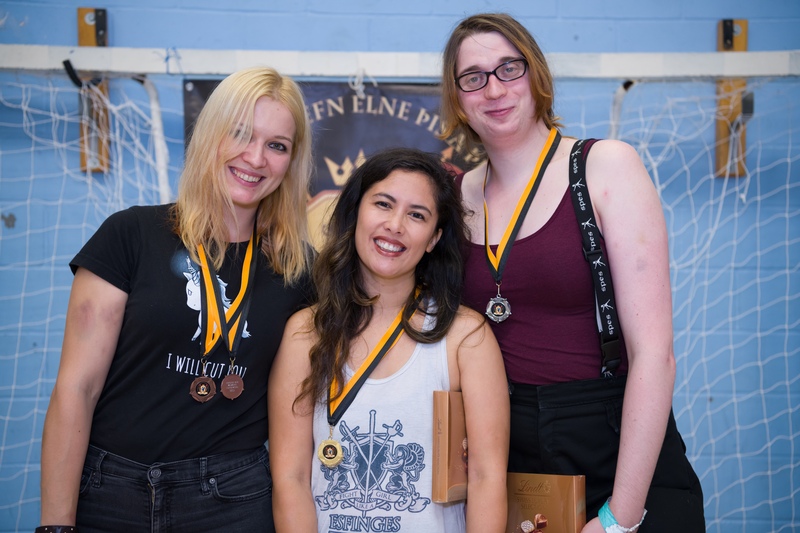 Emilia Skirmuntt placed bronze. 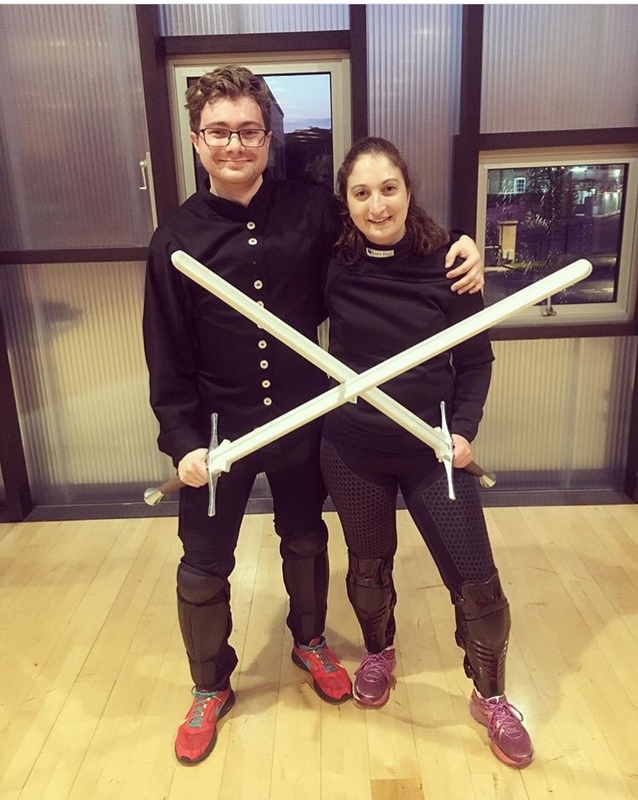 And for women’s rapier and dagger Fran and Emilia placed silver and bronze respectively. 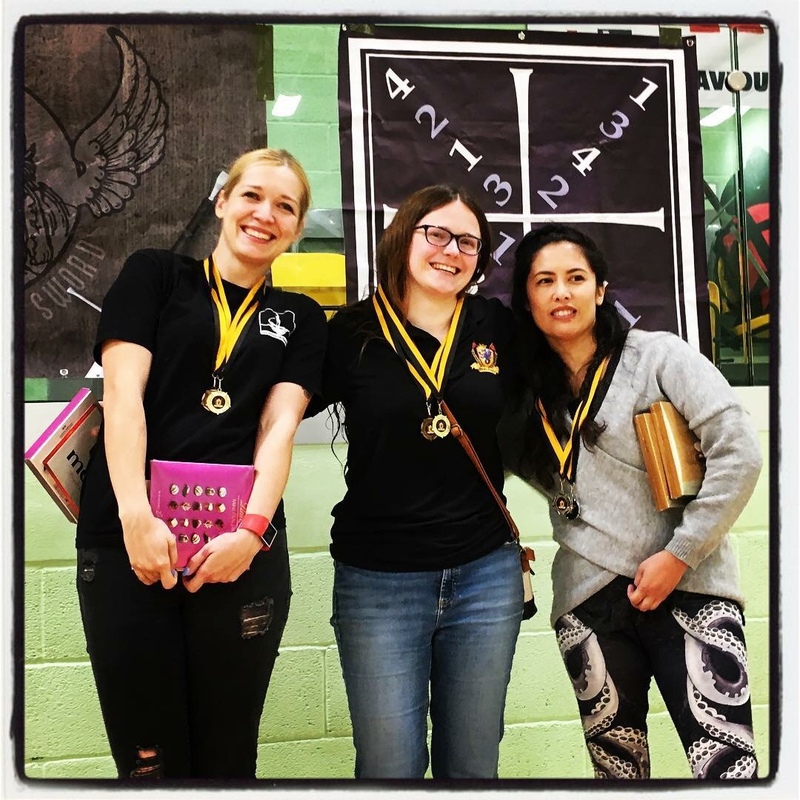 Well done to all SoTS members who not only competed admirably and with great skill but also worked hard to staff this event. 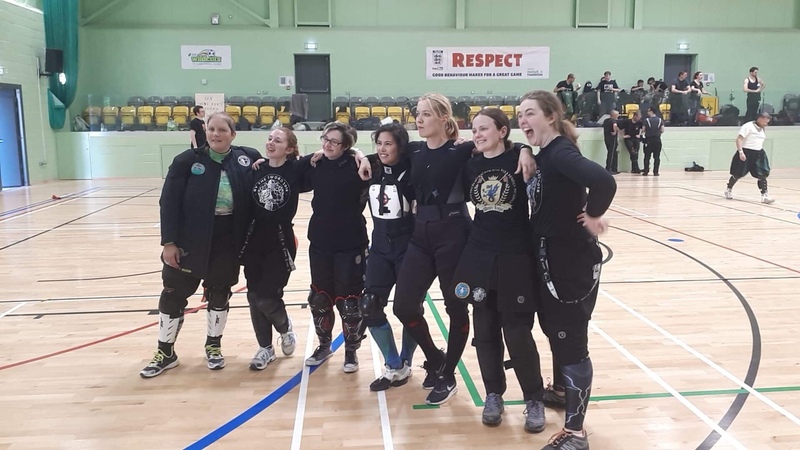 The league, in its second year, has several School members on the organising committee, Sots hosted the second chapter last year in Reading. 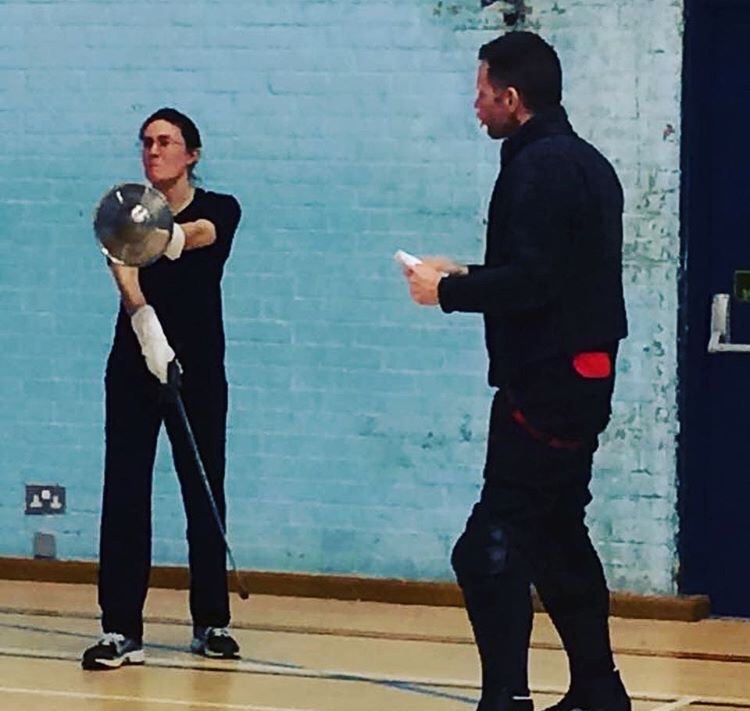 The next chapter takes place in Taunton on 29/30 September and is hosted by Taunton Longsword Association. 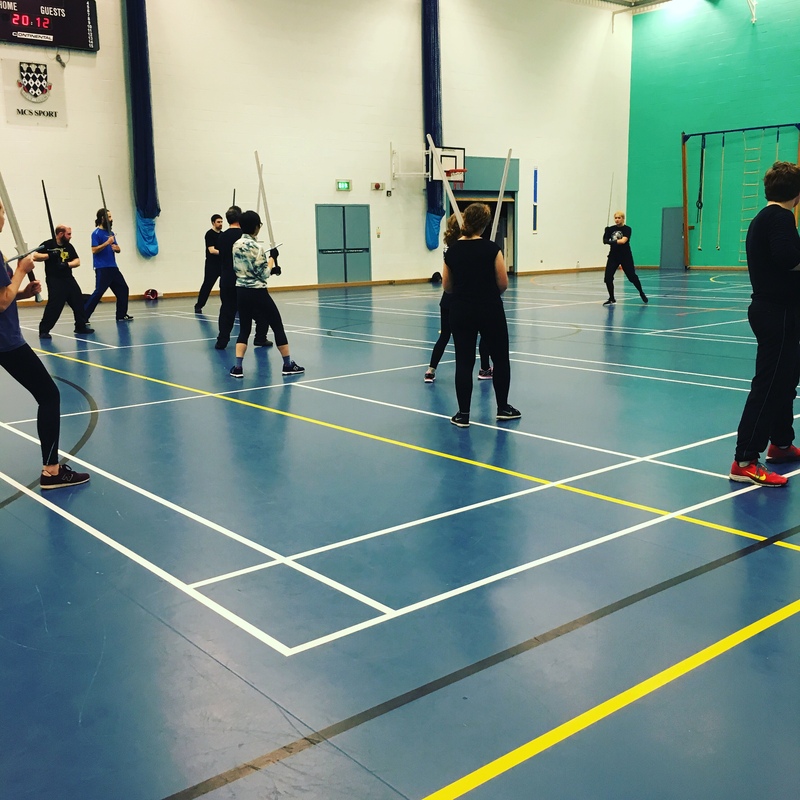 We had a busy session this afternoon in Godalming, with the Wessex League starting next Saturday in London it was probably not surprising that a lot of us wanted to hone our skills. 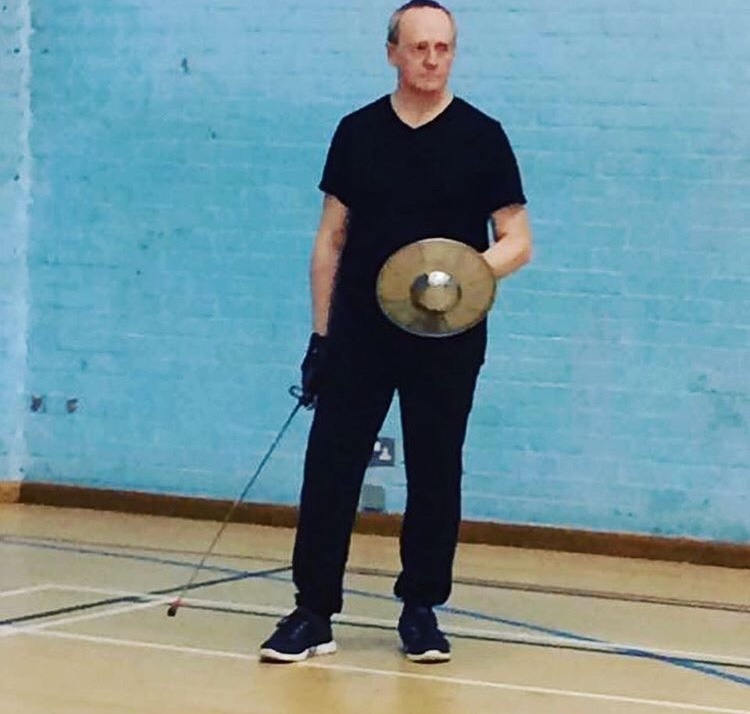 It was also the end of Mark’s block on Agrippa single sword so lots of people wanted to use the time to try out what they had learned. 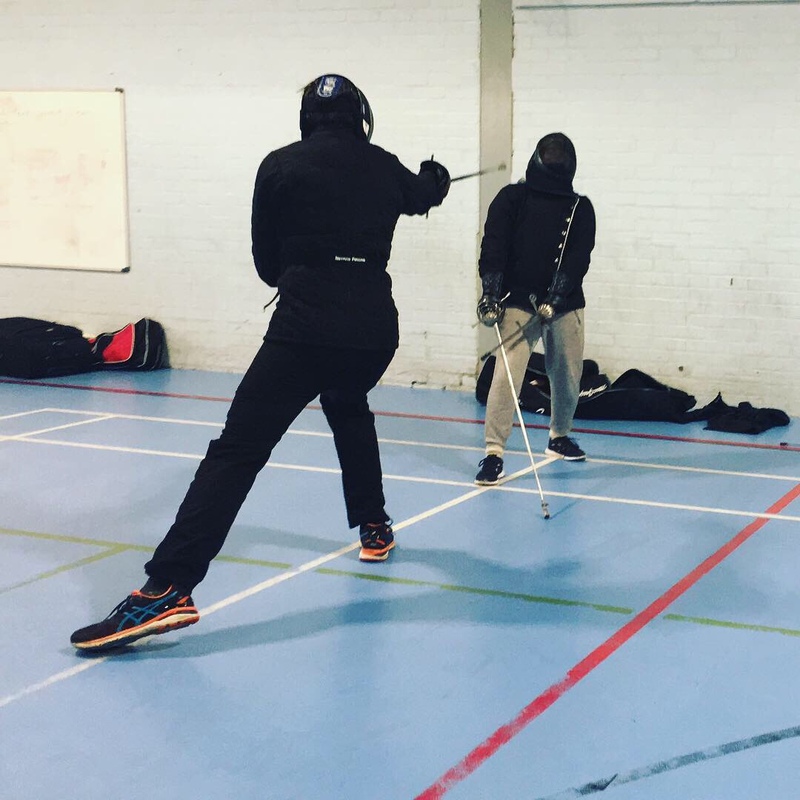 On Wednesday Lynette will continue her block on rapier & dagger, and Simon will be joining us to look at sidesword and parrying gauntlet according to the Anonimo Bolognese as translated by Piermarco.